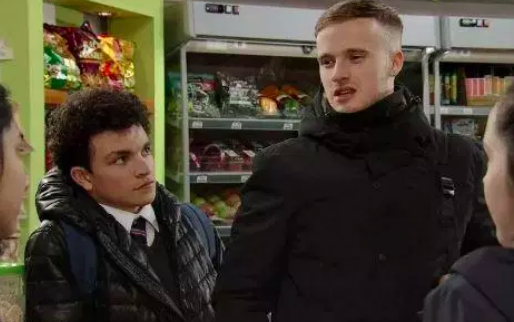 Corrie's Tyler Jefferies is going to try and force Amy Barlow to have an abortion. The 14-year-old will discover that she's expecting the thug's child in the New Year, leading to much panic among parents Steve and Tracy. While it's expected that the couple will tell their teenage daughter to terminate the pregnancy, dad-to-be and questionable human being Tyler will also take it upon himself to try and force Amy into the procedure. 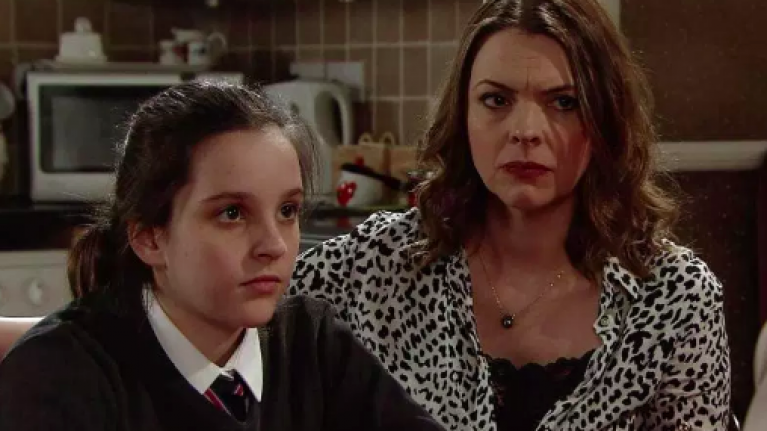 The Sun reports that Tyler tells Amy he'll put her cousin, Simon Barlow, "in hospital" if she doesn't have an abortion. A source told the publication that the gang leader is "deadly serious" about his threat. "When Tyler finds out Amy is pregnant with his baby and isn’t going to have an abortion he tries to scare her into having one," they said. "Him and his thug mates threaten to put Simon Barlow in hospital if he doesn’t help convince her to abort the baby." The father of Amy's unborn child was revealed as Tyler last week. It's expected that Amy will decide not to go through with the abortion, instead opting to give birth to the child and subsequently place them up for adoption. This decision should go down well with Steve and Tracy, but apparently Tyler then has a change of heart and realises he wants to be a dad after all. The Jefferies family get involved and a custody battle ensues, leaving the McDonalds and the Barlows adamant that they will fight to keep the baby. “This storyline touches on massive legal and ethical issues and will show viewers a different side to teenage pregnancies," said a source.